Some fun facts to consider as you enjoy this deep, dark beauty. 3. People in the U.K. called them aubergines. The word “aubergine” goes all the way back to the ancient Indian language Sanskrit. The eggplant is believed to have originated in India, where it is considered to be the King of Vegetables. 4. The word “eggplant” that we use in North America comes from British-colonized India, where at the time, a small, white, egg-like variety of the vegetable was all the rage. 5. In Renaissance Italy, it was called a mala insana or “crazy apple”. 7. 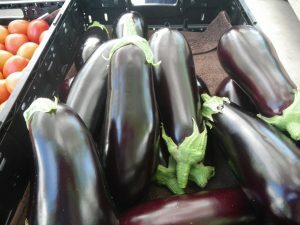 Eggplants made their first appearance in Europe in the 14th century, and Thomas Jefferson first introduced them to 18th century America. 8. 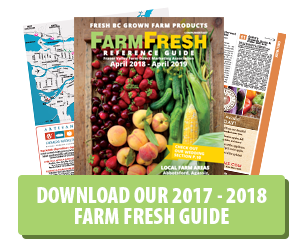 While eggplants don’t have an overwhelming supply of any one nutrient, they do contain an impressive array across the board of many vitamins and minerals, such as excellent amounts of fiber, folate, potassium and manganese, as well as vitamins C, K, and B6, phosphorus, copper, thiamin, niacin, magnesium, and pantothenic acid.